Hard Rock Hotel Guadalajara is a luxury 5* resort located in Zapopan, Mexico. It features 348 rooms, swimming pools and spa services. Hard Rock Hotel Guadalajara perfectly blends comfort and elegance in its modern facilities to provide you with a restful stay in the city of Guadalajara. This exclusive property offers excellent cuisine in its world class restaurants, as well as an impressive spa with cabins for body treatments and innovative beauty services. Hard Rock Hotel Guadalajara stands out because of its corporate services, which include meetings facilities, a business center and wireless internet access. 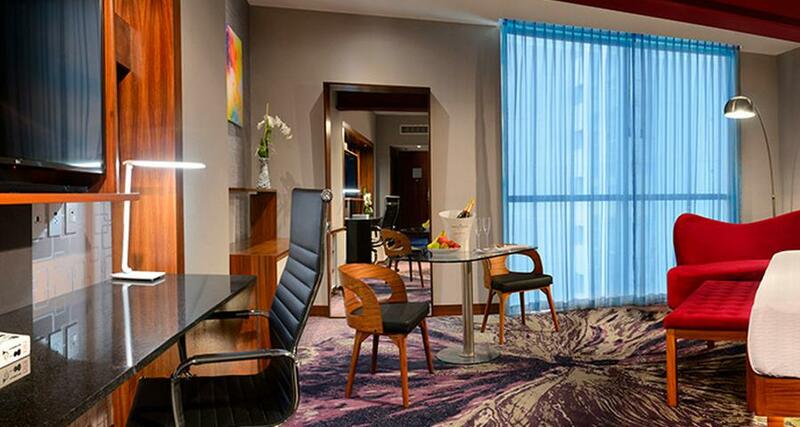 The hotel's luxurious accommodations feature rock-themed decor, the brand's distinctive touch of glamour. Book now your next visit to Guadalajara!